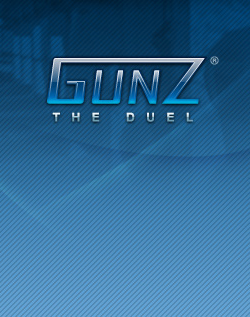 GunZ The Duel (Korean: 건즈 더 듀얼), also known as "GunZ", is a third-person multiplayer online shooting game, created by Korean-based MAIET Entertainment. International GunZ, in its beta, is currently free to play, and is planned to remain free after its official release. Though the International Edition is in its beta stage, the Korean version is considered complete. The game features several "styles" of gameplay, defined by the weapons used and techniques executed through very quick button combinations. To compliment the action and to provide additional incentive to continue to play, GunZ allows players to earn money and to purchase equipment. Equipment is used to modify the stats and appearance of a player's character and provide them with better or more strategic weaponry. In a fantasy world upon a continent known as Astra, a modern society has collapsed after a massive war between two factions: the Republic and the Empire. Fifty years have passed, and only recently have a new breed of people emerged: the adventurers. Thrill seekers and the entrepreneurs of the new world have come bearing arms, as bounty and treasure hunters seek out their new lives in a land now laid to waste, for money is the law. Now it's your turn to face the outlaws of the new world in battle. Be it for strength or honor, you must choose to either compete with or against them. The ancient tools that still exist may provide you with an advantage, but only the strong can outlive the risks of danger. This page was last edited on 16 August 2016, at 16:25. This page has been accessed 72,207 times.